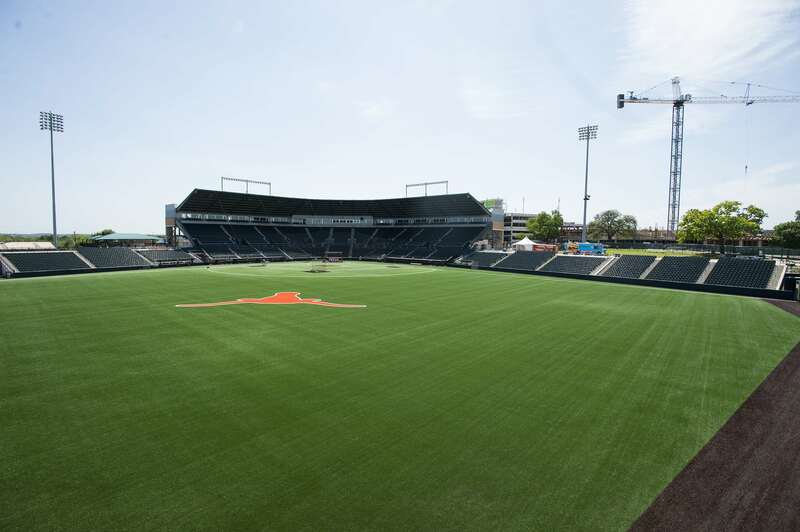 UFCU Disch-Falk Field serves as the home for the University of Texas Baseball Camps. The University of Texas has one of the premier facilities in college baseball. UFCU Disch-Falk Field features a beautiful Field Turf playing surface that allows our field to be playable in most conditions. It also features suites, a press box, ticket office and team store. In addition to a state-of-the-art field lighting system and sound system, there are improved seating areas and a concourse with concessions and clean restrooms. Furthermore, Red and Charline McCombs Field, home of the Texas Longhorns softball team and a facility considered among the best in the nation, is also utilized for camp training. Our campers have the opportunity to improve their skills on one of the nation's finest natural grass playing surfaces.